Nate Smith + Kinfolk perform at the Yale Jazz Festival on Sunday, April 14 from 2:00 to 3:30 pm at the Yale University Art Gallery. This event is free and open to the public. 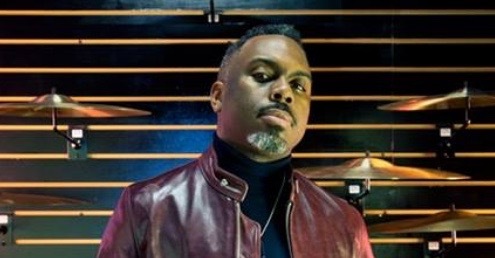 Arriving on the New York scene in 2001, Nate Smith has helped reinvigorate the international jazz scene with his visceral style of drumming by playing with such esteemed leading lights as bassist Dave Holland, saxophonists Chris Potter and Ravi Coltrane, and singers Patricia Barber, Somi, and José James. Because Smith didn’t come strictly from the formal matriculation of music studies as so many of his jazz contemporaries did, he lovingly describes his approach to drumming as “unrefined,” which in turns helps him distinguish his voice. Smith’s rising career reaches a new benchmark with the release of his bandleader debut, KINFOLK: Postcards from Everywhere, on which he fuses his original modern jazz compositions with R&B, pop, and hip-hop. Reception to follow in the Grace Hopper Head of College House, 434 College St. at 4pm.